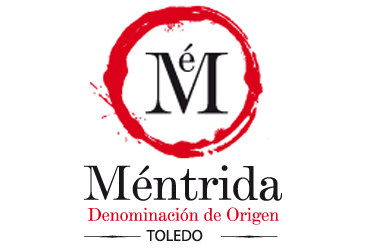 History: The region that now protects the Méntrida Designation of Origin wines was granted during the Middle Ages to certain jurisdictional domains or estates that were in charge of its governance and of the rapid repopulation of the area. All of these families provided their neighbours with municipal charters. In these legal documents the lands that were to be dedicated to vineyards were clearly delimited, although in many cases in this area cultivation of the grape walked hand in hand with cultivation of olive groves. Geography and soil: The area of production is located in the northern part of the province of Toledo, in the Castilian South Submeseta and it limits to the north with the provinces of Ávila and Madrid, to the south with Toledo, to the east with the Tagus River and with the terms of the area of La Sagra and to the west with Talavera de la Reina. It is made up by 51 municipalities from the province of Toledo, corresponding to three agricultural regions of the province: Talavera, Torrijos and La Sagra-Toledo. The land occupied by the vineyard is, in most part, land that was historically based on cultivation of wheat, although some marginal areas, such as the hillsides and rocky areas where very sandy substrate soils predominate, proved to be excellent for the cultivation of quality grapes. Another characteristic of the area is that the soil is poor in calcium, which in turn makes it ideal for the production of Grenache, reigning grape in this Designation of Origin. Climate: The climate is dry and extreme continental Mediterranean, with significant annual thermal fluctuation and scarce rainfall, with annual water precipitation standing between 300-450 mm. The persistence and intensity of the rainfall is associated to the southwest winds, the same being concentrated in two seasons: from March to May and from September to November, with the first being more prominent. In winter there is a predominance of anticyclone situations and thermal inversion phenomena tend to be quite frequent, the same originating from the radiation induced night time frost. The stability of the summers, which are dominated by the Azores Anticyclone (the Azores High), may be perturbed by the presence of local storms due to reheating of the soil during the day. Varieties: The main variety of the Méntrida DO is Grenache, representing 80% of the vineyard. The remaining area is occupied by other red wine varieties that have been included in the new regulation of the Regulator Board, these being Tempranillo, Cabernet-Sauvignon, Merlot and Syrah, as well as a small proportion of white grapes such as Albillo, Macabeo, Chardonnay and Sauvignon Blanc. The vines are mainly planted as low bushes, although in the more modern plantations they tend to be in trellis fashion and the density of the same may vary between 1100 and 2500 vines per hectare. In general the harvest starts sometime between September 10th and the 15th. Street: Avda. Cristo del Amparo, nº 16, 1º Apartado de Correos nº 18.